Malarial mosquitoes need to eat like all of us. They feed not only on blood, but also on sugary plant nectar, and new research has found that they may have a bigger appetite than previously thought. 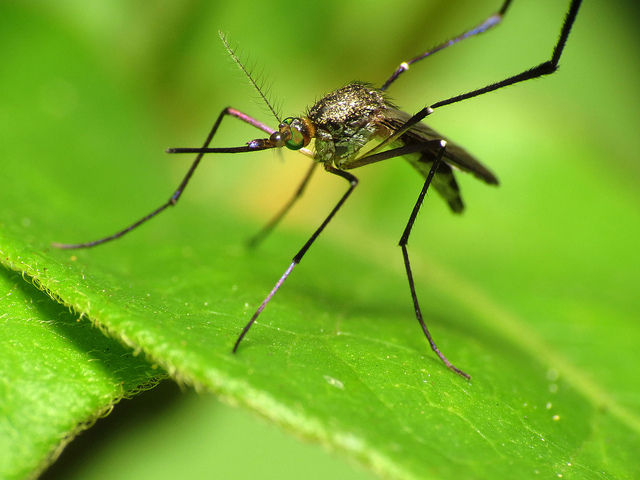 Until recently, researchers studying mosquito behavior thought that mosquitoes that had access to sugary plants would bite less, swapping out a blood meal for a sugar meal. But sugar fed mosquitoes actually bite just as much as those surviving on a blood only diet, according to a recent study published on August 21, 2017 in the Journal of Applied Ecology. That’s bad news for people in malarial zones. Malaria sickens 212 million people and kills 429,000 people annually, according to the most recent World Health Organization estimates. When a mosquito infected with the protist Plasmodium bites a human, the parasite gets transferred and starts attacking the person’s red blood cells. Malaria prevention and control depends partly on minimizing mosquito bites. Unfortunately, it appears that sugar-fed mosquitoes don’t bite any less. Over their lifespan, they actually bite more. This means they have a higher ability to transmit the disease, says Christopher Stone, one of the contributing authors on the study from the University of Illinois at Urbana-Champaign. The researchers simulated four tropical African habitats in greenhouses at Ohio State University. Two were populated with nectar-rich vegetation and the other two with plants with little of the sweet stuff. Then, for one hour in the middle of the night, the team let the bugs bite a willing human host (the mosquitoes did not carry malaria, although the species, Anopheles gambiae s.s., can). Timing was important, because this species naturally bites nocturnally. In contrast, mosquitos in prior studies had fed at dawn. “It was kind of surprising that a simple experimental nuance like that has such a big impact,” says Stone. The study found that, although biting and reproduction rates were similar in both environments, access to sugary plants had a sizeable effect on the mosquitoes’ life span: females lived for around 50 percent longer and males lived for about 180 percent longer. Since survival, reproduction rate and biting rate all play into the insects’ ability to transmit malaria, the researchers calculated that the mosquitoes’ potential to transmit the disease was nearly two times higher in sugar rich environments than in the sugar-poor ones. The greenhouse conditions were more realistic than those of prior studies on mosquito feeding behavior, but they could still could fail to mimic some natural environmental factors, like predation or climatic stress. The mosquitoes were also bred in colonies, which differ genetically from natural populations, says Jennifer Stevenson, molecular microbiology and immunology researcher at John Hopkins School of Public Health and the Macha Research Trust in Zambia. “Seeing if these conclusions hold true in the field setting is important,” she says. It’s also important in making the research applicable to real-world malaria management. Mosquito nets and insecticides have reduced the number of people that get sick and killed by malaria. However, public health officials are eager to add new methods to their arsenal, especially ecological tactics, says Stone. His research suggests that managing vegetation to reduce the amount of plant nectar available to mosquitoes may help fight the disease.